The hibiscus flower is commonly found in Asia, North Africa and Latin America, and is a symbolic flower in Haiti, South Korea and Malaysia. The flower comes in different colours – white, pink, red, orange, purple and yellow. 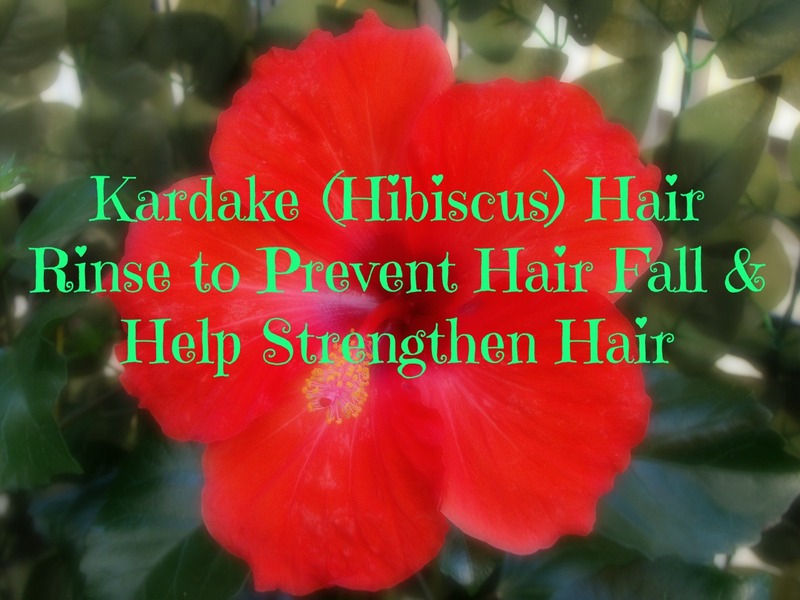 The red hibiscus is most commonly used for hair care and is the focus of this article. The flower can be used in the dried form usually available in grocery stores or in the ground form. Both are equally effective. 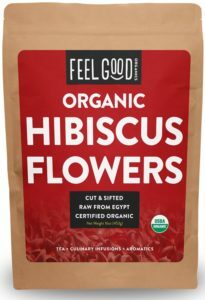 Hibiscus contains calcium, riboflavin, vitamin C and some amounts of beta-carotene, all hair nourishing and strengthening properties. It also contains additional properties, which cover up grey hair. However, I prefer mustard seeds and henna for dealing with greying hair. Read about this – How to Dye Grey Hair with Henna and Mustard Seed Oil and How to Dye Grey Hair with Henna and Indigo. You will need a handful of crushed hibiscus flowers or 2 tablespoons of ground hibiscus, 2 – 3 cups of warm water, 1 spoon agave nectar and 5 – 10 drops of lavender and/or ylang ylang essential oils. 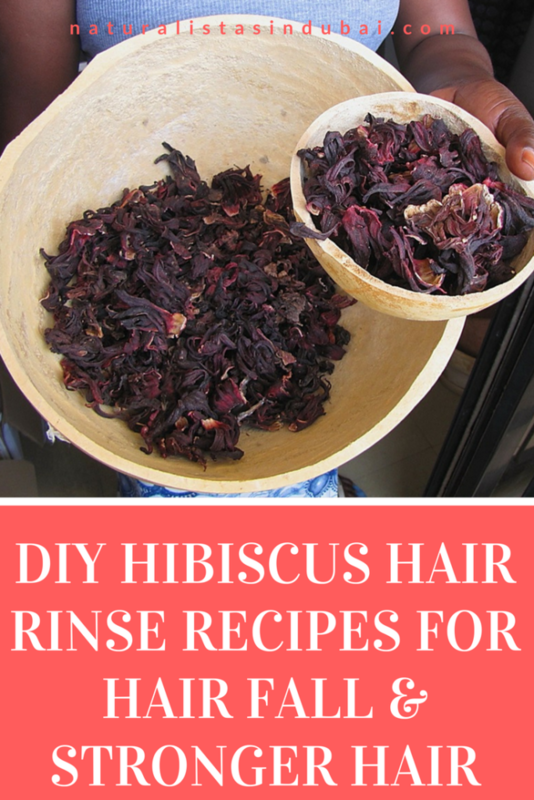 Place the hibiscus and warm water in a plastic container and soak overnight. Stir the mixture the next morning and leave for an additional hour, then sieve through a cheesecloth or colander. Add in the Agave nectar and essential oils. Mix and pour into a dark coloured bottle. After washing and conditioning your hair, apply the rinse, making sure every strand is covered. Massage into the scalp a bit, and leave on for 10 mins. Rinse out with cool water then style your hair as usual. The above recipe will make enough rinse to last for 2 – 3 washes. 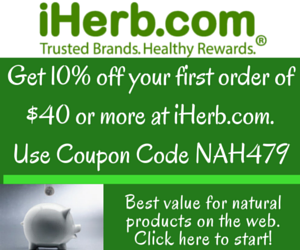 You can make larger quantities but you will need to include a preservative. Fresh batches always work better. Amla aka Indian gooseberry strengthens hair follicles and is great for preventing hair fall. You can purchase it in Indian grocery stores. You will need a handful of crushed hibiscus, 3 tablespoons of amla powder and some water (preferably distilled). Mix the amla and hibiscus together and grind as finely as possible. Add in the water and mix until it forms a paste the same consistency as yoghurt. Apply the paste to the length of your hair like you would henna. Cover with a shower cap and leave until the paste dries up on your hair then rinse with tepid water followed by conditioner. This mask can be used 2 – 3 times a week. Continuous use of the above recipes will lead to an improvement in your hair. The recipes are also suitable for all hair types. Nice article. 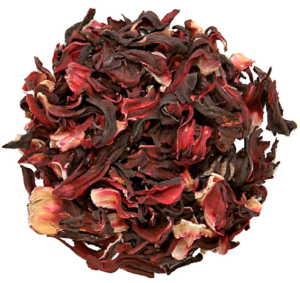 I have some hibiscus tea at home. Would that achieve the same results? Hibiscus tea leaves should work just as well.